A few fun things to share this week. First up, How Does She did again and blew me away with a 2x4 craft. I don't know why I am so drawn to a 2x4 but I just love the idea of taking something so basic and ending up with something amazing... and this one is! Check out this 2x4 snowman. Cutest thing ever! I love the none traditional colors... 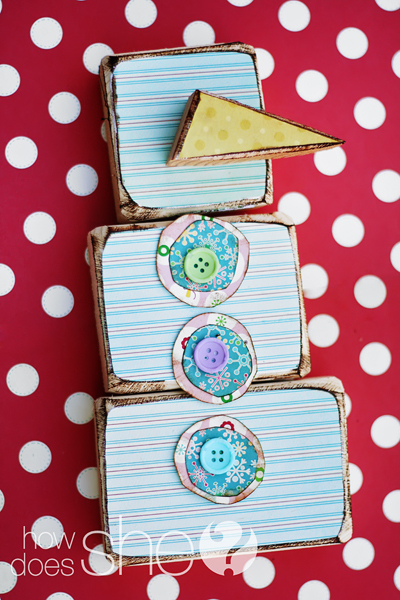 I love the nose and the paper buttons... I just love the whole thing! 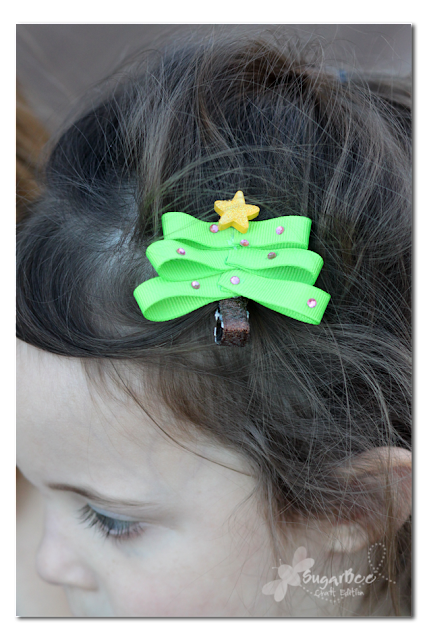 Next up, Sugar Bee showed us how to make these adorable Christmas tree hair clips. They are SO cute and look really easy to do. I'm going to have to make some. Plus this is a fun and affordable gift idea, love that! And finally, Crazy Domestic made these melted snowman cookies. Maybe I have a thing for snowmen, but I think these are to die for cute! How great would these be to give to neighbors or friends... or me? I sure am going to hate when Christmas is over and I have to go back on a diet, but for now I'm making a whole bunch of these cuties! Well, that's it for now. If you were featured don't forget to grab a button. The 12 Dates of Christmas with a FREE Printable! Nico Graphics and a free Printable!